Ketchikan, Alaska - This week in Ketchikan, Kevin Locke will preform on Thursday, January 26th at 6:30pm in the Kayhi Auditorium. The performance is free and a dessert reception with Kevin Locke will follow. Kevin Locke is a National Endowment for the Arts award recipient. 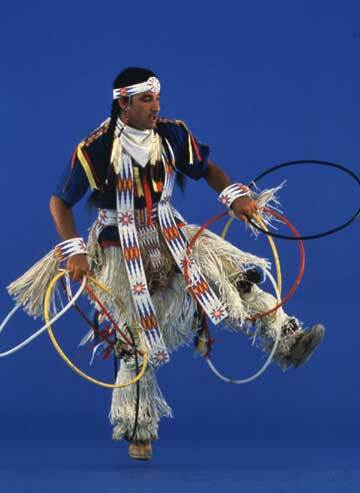 His performance will include songs, storytelling, flute playing and hoop dancing. Sponsored by the Ketchikan Indian Community, the Arts Council, the Ketchikan School District and Cape Fox Heritage. Call 617-1852 for more information. How the Ink Feels is on display through Wednesday. This exhibit features a collection of letterpress broadsides illuminating poetry and prose by distinguished American writers, on display through January 25th. Featured at the Mainstay Gallery at 716 Totem Way. The Mainstay Gallery is sponsored by the Arts Council. For more information on this traveling exhibit, stop by or call 225-2211. Friday Night Insight Programs at the SE Alaska Discovery Center: Every Friday night, 7 - 8pm. This Friday, January 27: "Observations from Liberia's Rainforest" presented by Ken Pearson, Law Enforcement Officer with the US Forest Service. The Book store will be open each night. 7th Annual Roberts Burns' Night is here again! This year's celebration will be held on Friday, January 27th at 6pm, doors open at 5:30pm, at Steamers on the Dock. Special features for this year's event include poetry readings, Highland dancing and the attendance of a direct descendant of Robert Burns himself, Leela McLarrin. Tickets $30 at Steamers and the Arts Council, for info and tickets call 225-2211. Call for Artists for the 2006 Wearable Art Show! Amazingly enough it is time to start thinking about your wearable pieces and get ready to fill out that paper work. The next registration deadline is January 27th for regular registration. Call 225-2211 for more information or stop by 716 Totem Way to register. Mad Hatter Tea Party at the Ketchikan Public Library. January 28th, at 3 PM downstairs in the Annex. Prepare for fun and zaniness for all!!! Monthly Grind, Saturday, January 28th, 7pm at the Saxman Tribal house. Live local talent, dessert and coffee, all for just $5 per adult, and $1 for kids. Buy a ticket, bring a homemade dessert and get a refund. Raucous: Everything Raven by Evon Zerbetz in its last week will be on display at the Tongass Historical Museum through January 29, 2006. Call 225-5600 for more information. Winter Hours are Wednesday - Friday, 1:00 - 5:00 PM Saturday, 10:00 AM - 4:00 PM, Sunday, 1:00 - 4:00 PM. The Board of Directors of the Ketchikan Area Arts & Humanities Council will have a special board meeting on Sunday, January 29th, 3:30pm, at the Mainstay Gallery. Call 225-2211 for more info. The 20th Annual Wearable Art Show Flashback tickets for the Sunday show now on sale at TBC, Soho Coho, Madison, McPherson Music, and the Arts Council, or by phone at 225-2211. Get 'em while they last! Linda Tillery and the Cultural Heritage Choir will perform Sunday, February 26th, and tickets for that performance are available at the Arts Council or by phone at 225-2211. 2005-2006 Inside Passages on Sale at the Arts Council! Hot off the presses, this annually printed literary publication is just $7. Stop by the Arts Council or call us to reserve your copy now, 225-2211. Adult Tap I - Beginning level tap class. Tuesdays from 5:30pm-6:30pm. 10 week class ends March 21st. Adult Tap II - Intermediate level tap class. Tuesdays from 6:30pm - 7:45pm. 10 week class ends March 21st. Dance With Me - for an adult and their favorite 3 year-old. Be ready for fun with movement. Fridays 10:15am-11:00am. Class ends March 24th. Dance Exploration - For the high school dancer who wants more focus on style than technique. This fun class spends 4 weeks exploring different dance styles. Tuesdays from 3:15pm-4:30pm. Class ends March 21st. Call the KTB studio for more information at 225-9311. Beading, Knitting, and other fabric art drop in sessions are now happening at The Bead and Yarn Shoppe located in Salmon Landing Market. Open from 10am - 7pm Wed. and Thurs., 10am - 5pm Sat. Call The Shoppe at 225-2858 for more information. Quilting classes: The Silver Thimble Quilt Shop is hosting a variety of quilting classes from the beginner to more experienced quilters, available at varying times. Please call the Quilt Shop for more information and registration at 225-5422. Totem Heritage Center Native Arts Studies Program Spring Registration: Register for spring classes through the Heritage Center. Start dates are ongoing for most classes. Registration can be completed by phone (907-225-5900), online at www.city.ketchikan.ak.us/museums/departments_totem, by fax (907-225-5901) or in person at 621 Deermount. UAS Registration: Art classes offered at the University this spring semester include, Watercolor Basics and Watercolor Painting with Adell Bruns, stained glass with Rick Erdrich, drawing portraits with Dave Rubin, and Painting with Acrylics with MJ Turek. Classes are both semester long, and short term. Projects from these classes will be a part of the May gallery show at the Mainstay Gallery. For more information contact UAS at 225-6177 or www.ketch.alaska.edu, or to register 225-4511. The 20th Annual Wearable Art Show Flashback will once again showcase wearable art pieces from artists both near and far. Showing on February 3rd, 4th and 5th, this Ketchikan success story is unforgettable and wild. Don't miss this opportunity to see these artists shine, and FLASH you with their ideas of grandeur. Tickets for Sunday's show on sale now at TBC, Soho Coho, Madison Hardware, McPherson Music and the Arts Council or by phone at 225-2211. Don't wait, tickets go fast! Friday Night Insight Programs at the SE Alaska Discovery Center: Every Friday night, 7 - 8pm. February 10: "After Trails Ketchikan: We've built some new trails; now where do we go from here?" presented by Jim Mitchell and Harold Adams. February 17: "Big Game Field Care and Meat Preparation" by Boyd Porter, not recommended for young children or the squeamish. February 24: "Our State Parks by the Ketchikan Advisory Board" presented by board members Rick Hauver, Jim Shoemaker, Karen Wolfred and Terri Robbins. The Bookstore will be open each night. 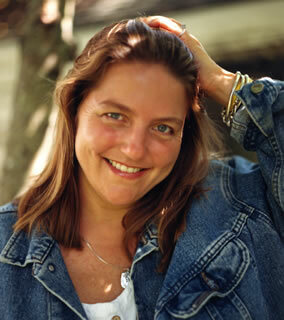 Author Pam Houston will have a presentation and book signing at the Ketchikan Public Library on Thursday February 9th at 7 p.m. Houston is the author of many books including "Cowboys Are My Weakness", "Sight Hound", and "Walking the Cat". This event is sponsored by the Library, with books provided by Parnassus Books. For more information contact the Library at 225-3331. Singing Quilter shares stories. Kathy Miller and John Bunge will sing songs, share stories and show quilts illuminating their stories on February 10th, more details coming soon. Opening reception for BoomTown- Ketchikan in the 1950s: Friday, Feb. 10th 5-7pm at the Tongass Historical Museum. This display features 1950s era photographs by Ketchikan Photographer Paulu T. Saari. The opening will also feature 1950s food, music and a good old-fashioned sock hop. Don't miss the movie night on Thurs, Feb. 25th featuring a movie filmed in Ketchikan in the 1950s. For more info call 225-5600. Rainy Day Quilter's presents Quilting In the Rain XV, February 11th from 10am - 8pm and 12th from 12pm - 4pm at the Plaza. Free admission and a Quilt raffle. Call The Silver Thimble or Rainforest Crafts for more information. KRBD African Dinner and Dance! On Saturday, February 11th, the latest KRBD fundraiser will make its way to the Ted Ferry Civic Center. An African themed five course dinner is on the menu, with dancing to follow. The doors open at 6:30pm with dinner and dancing from 7pm -12am. Those who just want to dance can arrive at 9:30pm for a $5 fee at the door. Tickets for dinner and dancing are $25 at KRBD, 225-9655. Sweet Second Saturdays Valentine's special spaghetti dinner, dance and dessert, Saturday, February 11th, at the Crow's Nest. For dinner and dancing, $6 at the door for adults, $3 for kids, $5 for just dancing, no experience necessary, live caller and instruction provided, dinner at 6:30pm, music starts at 7:30pm. Story time at the Library continues regularly throughout the year on Tuesday, Thursday and Friday at 10:30am. After some playtime, the librarian reads stories, sings songs, does finger plays and shows a short film beginning around 10:40 am. This program is appropriate for infants through pre-school age children. Opportunities to serve at the Arts Council! The Mainstay Gallery committee is looking for new members. Please contact the new Mainstay Gallery Chair Marilyn Lee at 225-8156 or omjlee@kpunet.net for more information on how to contribute to this committee. Sam Pitcher Music Scholarship applications are now being accepted. Awards of up to $1000 will be provided to a Ketchikan Youth(s) in grades 7- 12 for use at a summer music program. Awards will be paid directly to the program in the name of the applicant. Awards will be based on the applicant's musical ability, goals, motivation and, to a lesser extent, financial need. It is the applicant's responsibility to research programs and provide requested information to the selection committee. Applications must be completed and submitted by Wednesday, February 1st, 2006 at 5pm to the Ketchikan Area Arts and Humanities Council at 716 Totem Way. Call 225-2211 for more info. Call for Quilts for Quilting in the Rain XV Quilt Show. Pick up an entry form at Silver Thimble or Rainforest Crafts. Entries due by Feb. 3rd, 2006 at Silver Thimble or Rainforest Crafts. No late entries accepted. Call either store for more information. Auditions for Arsenic and Old Lace will be held on February 6-8, 2006 at 6:30pm at the First Lutheran Church. One of the most entertaining and enduring comedies in American theatre, the misadventures of the Brewster sisters offer hilarious fun for the whole family. Directed by Gerry Knasiak, she is available for questions at 247-7893. Sponsored by First City Players. ACTOut auditions! First City Players after-school drama program for kids will begin with auditions on February 11th, 3pm in the First Lutheran Church Fellowship Hall. ACTOut's Performance Company presents Charlie and the Chocolate Factory. Performances April 7th and 8th at Fawn Mountain Elementary School. Call FCP for more information, 225-4792. Calling all writers: interested in getting together to write and talk about your writing with others? Call Elizabeth Flom to get something started or get involved, 247-1313. Call for Plays for 2006 Play Lab: The Last Frontier Theatre Conference Play Lab is looking for writers to submit plays to be presented in the Play Lab. Submissions must be received by February 1, 2006. For more information and submission requirements visit their website at www.pwscc.edu or email the Conference Coordinator at dmoore@pwscc.edu. Artist in Residence: Denali National Park and Preserve is seeking applications from visual artists for the 2006 Artist-in-Residence Program. Entries will be accepted with postmarks dated November 15, 2005 through January 31, 2006. Application information is available on the park website at www.nps.gov/dena or by contacting the Murie Science and Learning Center at (907) 683-9532. Alaska Positive 2006 celebrates 36 years with its 2006 show. The statewide juried photographic exhibition encourages the practice of photography as an art form in Alaska. Deadline for entries to the Alaska State Museum in Juneau is Monday, February 13th, 2006 at 3:30pm. For more information and registration forms, send and email to mark_daughhetee@eed.state.ak.us or call (907)465-2901. Call for Artists for the Mainstay Gallery's 2006-2007 gallery season: Artists are invited to submit proposals for solo or group exhibitions of their work. Curators are invited to submit proposals to curate group exhibits based on themes or genres. (Recent seasons include Young at Art- a youth art exhibit and The Illustrated word.) 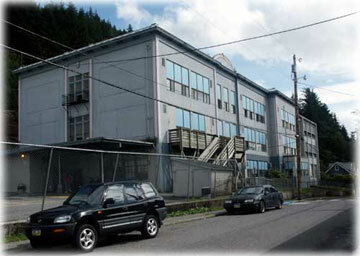 The Mainstay Gallery is sponsored by the Ketchikan Area Arts and Humanities Council. If you wish to submit a proposal but need help or have questions, please call the arts council to request a portfolio consultation. If you wish to be considered for an exhibit, please stop by the Arts Council to pick up information or call for more information 225-2211. Deadline to submit is 5pm, Friday, February 24th, 2006. Wild Salmon on Parade 2006 Call for Artists. Inspired by the example and spirit of Soul Salmon in Olympia and Cows on Parade in Chicago, this now annual event works to place large, wildly decorated fiberglass fish sculptures around Anchorage. Deadline for proposals is February 24, 2006. Download a packet and get more info from either of these websites; www.ancorage.net/salmon or www.campfireak.org. Rasmuson Foundation Individual Artist Project Awards: Deadline for applications March 1st, 2006. Alaska Artists are being asked to submit applications for individual project awards. Grants are up to $5000 for emerging, mid-career, or mature artists to accomplish specific, short-term projects that have a clear benefit to the artist and the development of his/her work. Info and applications can be found at www.rasmuson.org at Apply or by calling toll free in Alaska (877) 366-2700. ASCA Grant application Due dates are quarterly, the next being March 1st. All small grants applications are available online at www.eed.state.ak.us/aksca. Solo Exhibitions for the Alaska State Museum are now being accepted from Alaska artists. Deadline for receipt of submissions is March 8, 2006. For more information and registration guidelines visit www.museums.state.ak.us. Attention all Artists: Call for Public Art through the Anchorage Museum of history and art. All needed information for this and other opportunities can be found at www.anchoragemuseum.org. The Ketchikan Area Arts and Humanities Council Board of Directors meets the third Tuesday of every month at 6pm at the Mainstay Gallery, 716 Totem Way. Rainy Day Quilters meet on the fourth Tuesday of the month, at 6:45pm, at Holy Name. White Cliff School Redevelopment Project Public meeting: Monday, Feb. 13th, 7 - 9pm at the Ted Ferry Civic Center. This cherished old school is under review as a facility that would bring together senior activities and arts programs in a model of community revitalization. The results from the second phase of the site review will be presented - please join us for a project update! Call the Arts Council for more info 225-2211. An Evening of Wine and Chocolate Tuesday, Feb 14th, 7 -9pm Crow's nest. Enjoy a Valentine's Day event to benefit UAS students and the Phi Theta Kappa Honor Society. Wine tasting, food and a Harry and David Ultimate Chocolate Tower will await visitors. Tickets are $25 per person, over 21 years and older only. Call UAS for more information and tickets 225-6177. Elizabeth Peratrovich Day is February 16th. In celebration, the Alaska Native Brotherhood and Sisterhood, Camp 14 of Ketchikan and Saxman will sponsor several events around the Greater Ketchikan Area, including a fashion show and play from local 8th graders. For more information call Albert Ketah, Jr. at 225-2688. Ketchikan Area Arts and Humanities Council Annual Meeting: February 17th at the Pioneer Hall for new, current and renewing members of the Arts Council to gather and take care of business and celebrate the arts. Refreshments and music will begin at 6:30, with hors d'ouerves by Chef Tim. Call to order will be at 7pm. Awards will be given to the Volunteer of the year, and the Business of the Year. Call the Arts council for more info, 225-2211. Fundraising Auction sponsored by the Ketchikan Outdoor Recreation and Trails Coalition (Trails Coalition) and Leask Users Coalition will be held on Friday, February 17, 2006 at the Ted Ferry Civic Center at 6:00 pm. Local musicians, free drinks, hors d'ouerves and door prizes await you! To donate to or volunteer for the auction, contact Laura Baker at 617-4310. Monthly Grind, Saturday, February 18th, 7pm at the Saxman Tribal house. Live local talent, dessert and coffee, all for just $5 per adult, and $1 for kids. Buy a ticket, bring a homemade dessert and get a refund. 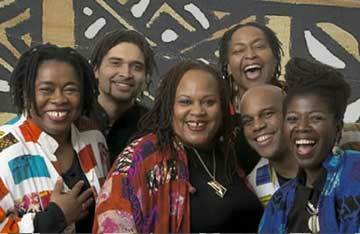 Linda Tillery and the Cultural Heritage Choir performs February 26th. This Grammy-nominated group will showcase African music as well as spirituals, gospel, soul, and contemporary pieces on the Kayhi Stage at 7:30pm. Tickets are now available at the Arts Council or by phone at 225-2211. An Evening of Dance by KTB March 2nd and 3rd, 7:30pm - Kayhi. This annual performance showcases Ketchikan Theatre Ballet's Junior and Senior Company dancers in a diverse presentation of dance styles from classical ballet to funky modern, tap to lyrical jazz. Thurs. performance: pay-what-you-can, Fri. tickets available from KTB 225-9311, the Arts Council and at the door, sponsored by KTB. Sweet Second Saturdays dance and dessert, Saturday, March 11th, at the Crow's Nest. $5 at the door no experience necessary, live caller and instruction provided, music starts at 7:30pm. Sponsored by Squares and Contras.